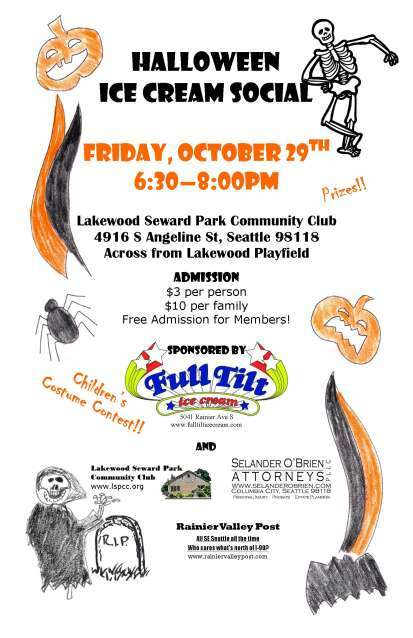 Halloween Ice Cream Social & Kids Costume Party at the Lakewood Seward Park Community Club is a pre-Halloween event — another fun reason for kids to wear their costumes! 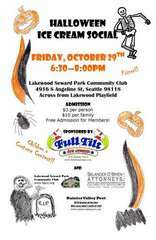 Friday October 29th at the LSPCC (4916 S Angeline) from 6:30-8:00pm. Featuring Full Tilt Ice Cream. Members free, non-members $3 per person or $10 per family.